The multi-faceted career of H.R. 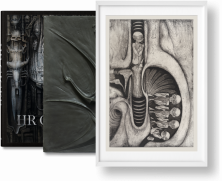 Giger, one of the leading exponents of fantastic art: from surrealistic dream landscapes to album cover designs, sculpture and set design. For the last three decades H.R. 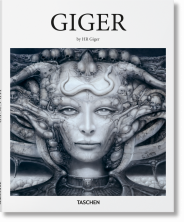 Giger has reigned as one of the leading exponents of fantastic art. After he studied interior and industrial design for eight years at the School of Commercial Art in Zurich, Switzerland (1962-1970), he was soon gaining attention as an independent artist, with endeavors ranging from surrealistic dream landscapes created with a spray gun and stencils, to album cover designs for famous pop stars, and sculpture. 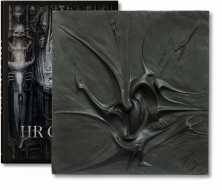 In addition, Giger’s multi-faceted career includes designing two bars, located in Tokyo and Chur, as well as work on various film projects—his creation of the set design and title figure for Ridley Scott’s film Alien won him not only international fame but also an award for Best Achievement for Visual Effects (1980). Detailed commentaries describe H.R. 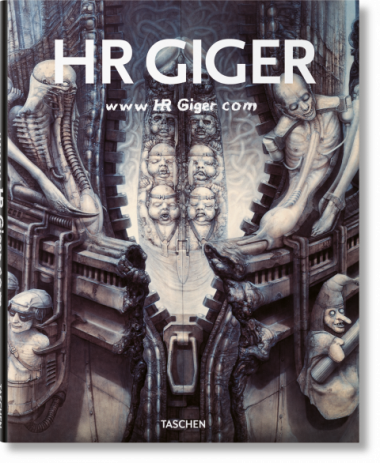 Giger's work from the early 1960s to the present day.